You can't think about Valkyria Chronicles without thinking of the Gunthers. When I drew this, I was wondering whether I should take Isara's shawl away or not, but I decided not to since it's more or less her trademark. 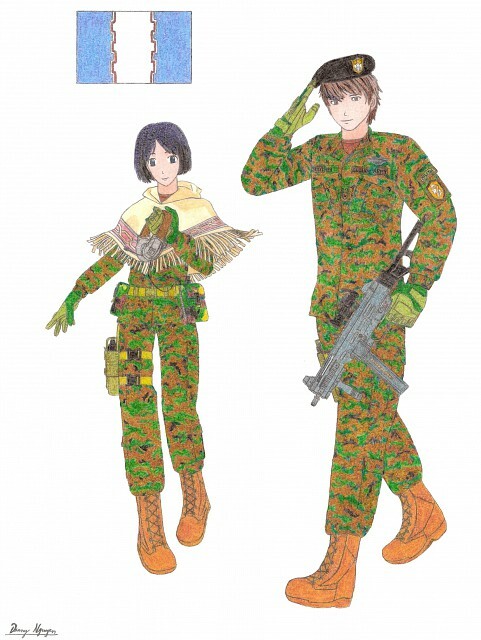 Welkin... he turns out to be better than I expected in modern day camouflaged outfit for a field officer. Although I already covered Alicia, Welkin, Isara, Largo, Marina and Edy, this sure isn't over yet as it was only the first part. The second part of this huge compilation will be a little bit more diverse. Browse Valkyria Chronicles Gallery: Recent | Popular.